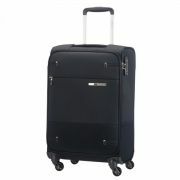 Upright and spinner luggage are usually cases that travel on with two, Upright, or four, Spinner, wheels. Making your travels that bit easier with your case just gliding along with you. Available in variety of colours and materials, soft and hard, to give you the protection you need for your valuables while travelling. 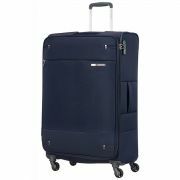 Here al ShopLuggage we have a vast range of upright and spinners in a number of brands or biggest seller being these from Samsonite. 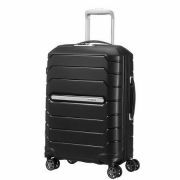 Upright luggage is a case that has only 2 wheels which only move forwards and backwards and an extendable handle. 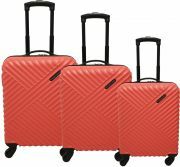 Available in cabin and check-in/holdall sizes, the upright cases generally provide and larger volume capacities as the wheels take away from the volume space that is available. 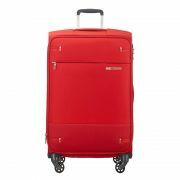 A busy travellers dream is the spinner case, with no pushing or pulling a spinner case will simply glide right beside you! 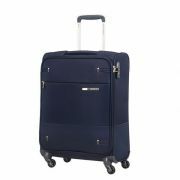 With 4 wheels it gives the case that extra functionality to move in every direction via multi directional wheels and also with an extendable handle. 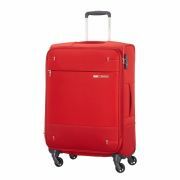 Spinner luggage comes in a variety of sizes and materials suitable for cabin and holdall/check-in.